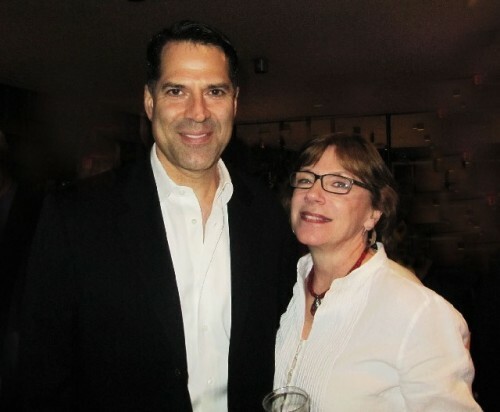 Julianne Boyd and Christopher Innvar will again work together this summer on Much Ado About Nothing. Giuliano photos. Mark St. Germain’s plays have become a signature of Barrington Stage. 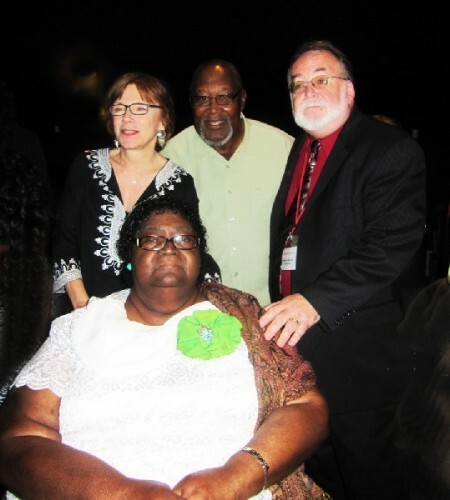 Boyd and St. Germain with the real life individuals who inspired Best of Enemies. 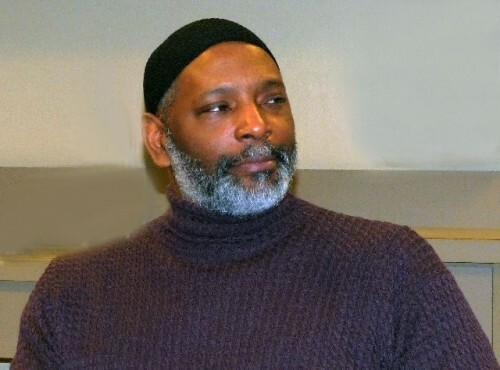 David Alan Andreson was the lead of Whipping Man in Indianapolis. 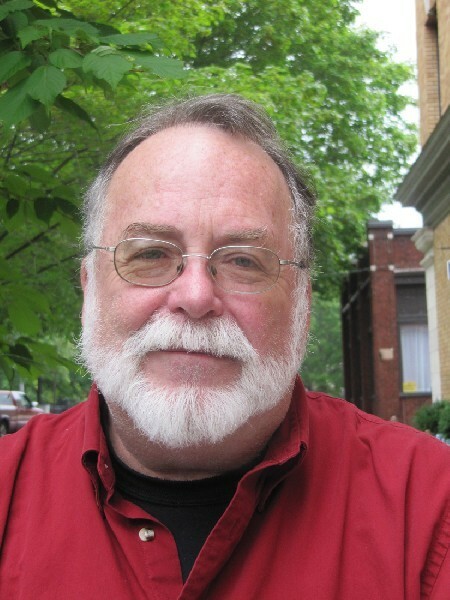 Wall Street Theatre drama critic, Terry Teachout, wrote a column with concerns for the current state of American regional theatre. Surprise, Surprise, Clybourne Park is scheduled for the fall season. Charles Giuliano Recently we were in Indianapolis with the American Theatre Critics Association. During that time we saw an excellent production of The Whipping Man at the Indiana Repertory Theatre. We had seen the play a couple of years previously at Barrington Stage. We saw a production of The Lyons and 9 to 5 in a dinner theatre. Also we had an incredible evening with Michael Feinstein and Barbara Cook at a new theatre complex in nearby Carmel. There were a number of meetings and panel discussions at which I asked why we have to come to Indianapolis to see shows we have already covered at our own regional theatres and on Broadway. When you, like everyone else, announced scheduling Clybourne Park for the fall season I added critical comments. I had seen it on Broadway and thought it was so so despite its many accolades. Since then it seems to be the most widely produced play in America at the top of a list of a dozen plays that are being presented by regional theatres. Terry Teachout of the Wall Street Journal, popularly known as America’s Theatre Critic, wrote a column about the short play list of regional theatre symbolized by the ubiquitous Clybourne Park and the shrinking sales of season subscriptions. "I've noticed in the past couple of years that many regional theaters are also opting for significantly less adventurous fare. More familiar comedies and recent Broadway hits, fewer challenging new shows and revivals of great plays of the past: That seems to be the direction in which American theater is moving." Teachout wrote. "...But I do know that if regional theater wants to save its soul, it'll have to find new ways to sell tickets. Otherwise, it's going to be 'The Odd Couple' and 'Clybourne Park' over and over again, forever." What is the state of regional theatre in America when all of the theatre companies in essence are staging the same shows? On our site we now have several reviews of Clybourne Park. My Broadway coverage, Mark Favermann’s in Boston, Jack Lyons from California, Melissa Hall’s from Indianapolis and this fall for Barrington Stage. We have a similar number of reviews for Other Desert Cities which I covered on Broadway. Favermann covered in Boston. And Lyons has now written about it twice. I realize that each production is unique but with so much repetition what does that say about the current state of American theatre? It seems to indicate a lack of creativity and imagination when there is knee jerk repetition of New York. When you go to the well too many times isn’t there a point where it runs dry? Julianne Boyd Ok. My feeling is that isn’t quite so. It isn’t quite so for Barrington Stage. I don’t know what it’s like in Indianapolis or anywhere else. OK. I’m not just putting on the shows done in New York in the past year or two. As you know Stage Two is dedicated to either new work or rarely done works maybe second productions. Our Main Stage is a little different. We bring shows that haven’t been seen for awhile or that I feel Berkshire audiences haven’t seen. In the case of On the Town you might say that people can watch the movie. In our production I have three sailors who sing, act and dance. Usually companies bring in three ballet dancers who look like the three guys and they dance. CG Excuse me. There is currently a production of On the Town at Lyric Stage in Boston. JB Do they have the same three guys singing, acting and dancing? CG It's On the Town in Boston then On the Town in the Berkshires. From one end of Massachusetts to the other. JB Well I think ours is going to be different for a number of reasons. We were able to get some of the very dated 1940s references cut. We’re not doing Jerome Robbins choreography. John Rando had done the encore version and for us he is doing all new choreography. I’ll get to Clybourne Park. I know where you’re going. The Chosen is not done in many theaters. CG Again, Boston’s Lyric Stage did it last fall. JB Our audience loved Asher Lev. It’s important for us to do shows that I love but that audiences love. On the Town. They love musicals. They loved West Side Story. For me to do Bernstein’s first musical ever that’s important to me. To do as many different types of musicals as possible. With The Chosen perhaps people will think “Oh that’s about Orthodox Jews.” It is about them but it’s about faith and the loss of faith among the younger generations. 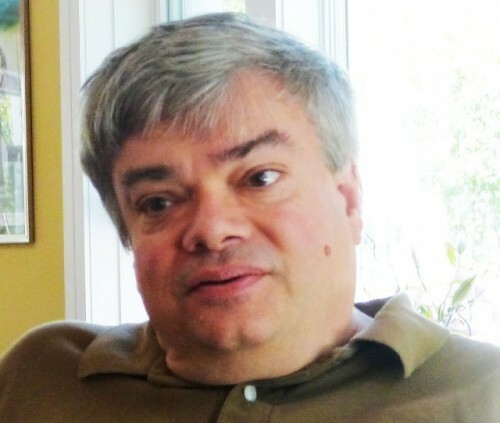 When I spoke with Aaron Posner, the adapter, he said that in Seattle we had large groups. It was an inter faith show. We had Congregationalists. We had Catholic groups. We had the inter generational thing. They said, yes, how can we get back what was once important to us? I’m hoping that opens up that dialogue for that. So there are reasons I do them. I don’t know that The Chosen was done in Boston. Berkshire Theatre Group did Shakespeare (Macbeth), Williamstown Theatre Festival did Shakespeare (The Last Goodbye a musical adapted from Romeo and Juliet). Why can’t we do Shakespeare? The greatest playwright in the English language and we can’t do it? And Barrington Stage loves doing the classics? Great. You have a point. I said let’s do a comedy to begin with. I didn’t want to start with King Lear. I had the cast. I knew I had my Beatrice and Benedick and my Don John. It is the right time to do it and what I want to do is put it into more contemporary times. I didn’t want to do it Elizabethan. The two stories it’s based on are Italian stories. I thought I’m Sicilian. I thought OMG I’ll place it in Sicily. I know these Sicilian men. I know these Italians. OMG I’m going to have a great time with this. Christopher Innvar is part Italian. Mark Dold is part Italian. It just so happens that a number of Italians are involved with this production. I ended up getting the right group of people and I’m setting it in the 1930s. Pre World War II when things were still possible and women weren’t equal. I have an original score that’s jazzy and Italian. So, for me, I am doing a play that I think I can bring something to. The concept matched what the actors came to me and said “Why can’t we do?” You know what? They’re right. Then I go, what am I going to do in the fall? 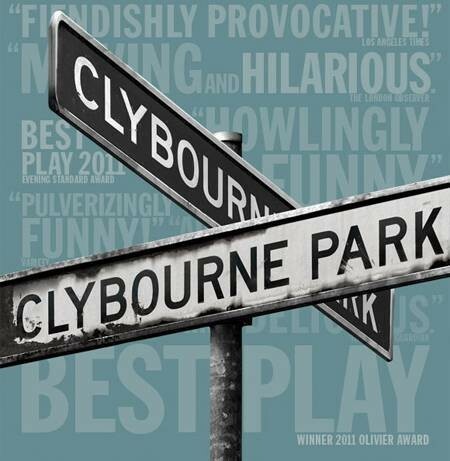 I was one of the first people who got the rights to Clybourne Park after it opened at Playwrights Horizon. I saw that play and immediately loved it. I was crazy over it and it was difficult to get the rights. They had to look at what you did. The actors who worked at your theater. We got it. It was the same year as (Mark St. Germain’s) Best of Enemies. I was going to do Best of Enemies on Stage Two but as that show grew with a gospel choir I couldn’t do Clybourne Park because it was more important to do a world premiere on the Main Stage. I bumped it. Nobody knows this story Charles. Ok. It’s always been a show I wanted to do. So then when I found out that Giovanna Sardelli is doing it at Dorset. I wanted to do something for the kids in the fall. I was getting a little tired of doing the old classics for them (kids). I needed a little break. We did Lord of the Flies, The Crucible, To Kill a Mocking Bird. JB How can I get the kids talking about today? There was a hesitation. I thought, hmm, evervbody’s doing it. That’s not my cup of tea. I was having lunch with a group of people who are supporters of the theatre. They asked what am I doing in the fall? I said I’m thinking of some classic yaddayaddayadda. Or maybe Clybourne Park. They said Clybourne Park! The one that won the Pulitzer. I said, yeah. Why shouldn’t we be allowed to see such an important play here? I didn’t see it in New York, or in Boston. Our Berkshire kids haven't seen it. My feeling is why people are doing the same shows around the country is because their audiences don’t get into New York. There are really exciting works. And they’re meaningful. The five or six plays that are being done. And I choose this one. I do plays to open dialogues. I thought it was a play that can open a dialogue. And, Charles, it is selling better than any show we have done in the fall in any of the past four or five years. CG I can believe that. JB I didn’t think people would know of it. But because it has the nomenclature of a Pulitzer Prize and a Tony. The other reason that I’m doing Clybourne Park is that the majority of the high school students in Berkshire County read Raisin in the Sun. So I never pick the play to pick the play. I thought that for all of those reasons it matched what we were doing. If upon occasion we do a popular play there’s a reason we do it. Audiences want to see it and I think we can add something to it. There’s a certain segment of our population that I would like to see it. CG Ok. I see your point. I buy it. But I’m not satisfied regarding the point of theatre devolving into the Great American Regional Rehash. JB That’s another question. That’s a very good question. CG When that happens regional theatres are not really growing their audiences. They’re not trusting their audiences to put in enough new work to balance. I want to visit regional theatre to see productions that are not reflecting New York but may instead eventually reach New York like A.R.T. and Huntington in Boston, or Steppenwolf and Goodman in Chicago. Barrington has been doing that as is Williamstown Theatre Festival. I would like to see regional theatre as developing a lot of different genres and varieties of approaches resulting in distinctive styles that make me want to visit those cities and theatres. JB I agree. I totally, totally agree. When we started doing new plays on our Stage Two it took a few years to grow that audience. Sometimes boards and audiences, staffs, are not patient enough. It does take awhile to build the audience for new plays. We did new work in 2006. It wasn’t until we did Freud (Freud’s Last Session by Mark St. Germain) in 2009 and 2010, it took us three years, until we did Freud, to break even on our Stage Two Charles. That’s a long time not to break even. Occasionally we would have a show that did well. What was happening was our Main Stage was paying for our Stage Two. At the end of the year it was fine. But at one point we were asking ourselves why are we doing new musicals? Why are we doing new plays? CG When we were in Indianapolis we saw The Whipping Man. We had seen your production some time ago and I wasn’t anxious to see it again. Indiana Repertory Theatre presented a stunning production. The lead actor, David Alan Anderson, who we met, has for mostly family reasons, spent his entire career in the Midwest. In my opinion he’s on a level with an actor like John Douglas Thompson. It was a complete surprise to discover such a gifted actor living and working in Indianapolis. JB Why shouldn’t those actors have a chance to do those outstanding roles? Even if they have been created by somebody else. They need an opportunity to do great roles to grow as actors. They have to do Whipping Man and Clybourne Park but also X,Y,Z. There has to be a balance. There used to be that theatres stopped doing new plays because they couldn’t sell subscriptions. You had to do a Noel Coward and a Neil Simon and one straight play. Depending on how many plays you had. People used to do four plays with one new play. We did three plays. We said we’re going to do a musical and run it because we don’t have enough money to do four plays. I think you have to take the chance with those other shows. When boards looked at which of the four plays sold best of course Neil Simon was first. The show that came in from Broadway the year before would be a big hit. The other shows would be OK and the show that would do the least good would be the new play. So boards would say. We get it, we’re not selling that many subscriptions, so let’s get rid of the new play. We’ll put another comedy in there. Or another play that people know. So in order to sell subscriptions people didn’t continue to take chances. Interestingly enough Charles we are selling more subscriptions than we have ever sold and our Stage Two, with new plays, is just about sold out. There are still single tickets. We keep X number of seats. For our Main Stage and Stage Two our subscriptions are ahead of last year. We have to limit the number of subscriptions to Stage Two because we only have 110 seats. I don’t know why but we’re also offering really good packages. What I have been trying to get to would be that people would buy a ticket not even knowing what the play was because they were sure that a Barrington Stage production would be of a certain quality. They may not love the play but they knew that they would come and see great actors on the stage. CG That’s precisely true for Williamstown Theatre Festival. It has longevity and a pedigree. There have been ups and downs. It’s becoming stabilized again. That’s true for Shakespeare & Company. Perhaps it’s less true for Berkshire Theatre Group which lacks a real identity and focus. But I think that audiences buy into the programs as a total package. There is a certain consistency whether or not the audience knows the new plays. JB You’re absolutely right. The challenge this year is our new Cabaret series. We have Mr Finn’s Cabaret with the ability and know how to do great cabaret. It will take a couple of years as it did with the new plays on Stage Two. People need to know that they can come ten or twelve weekends during the season, have a drink, and a bite to eat and enjoy great cabaret. That’s our new baby. A major new project. CG We’re Sicilians and fight. JB No we have passion. We fight for what we believe in. I can’t deal with people who don’t share my passion. I know this is weird but I have never gotten up out of bed in the morning feeling depressed. I get up and go this is a great day. I’m going to do something. CG Yeah. That is weird. "For the record, "On the Town" is not a popular musical--I've only reviewed one staging of it anywhere in America in the past decade....t "
"Provocative, as always,, Charles. In New York, Chicago, and Denver, where you have a choice of many different shows every night, you see the regulars, but you also see many new and not so often viewed others. I do not understand the appeal of Other Desert Cities -- except Stockard Channing and Stacy Keach."